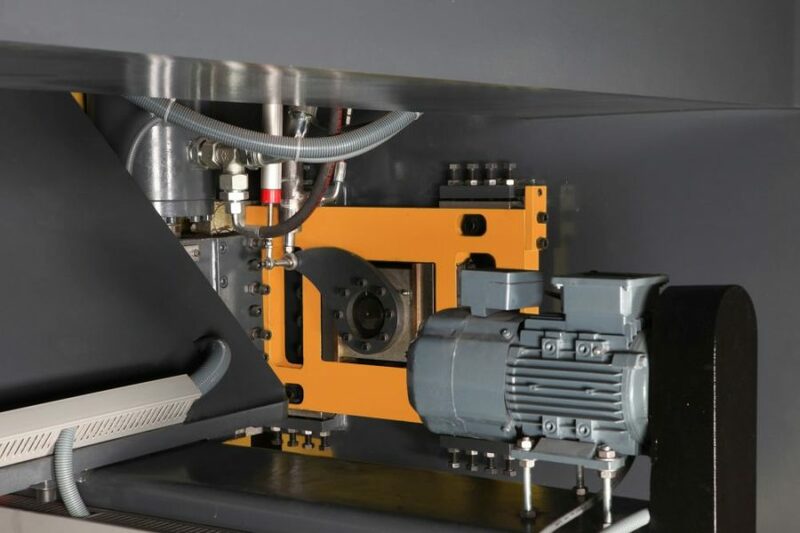 Blade gap and cutting angle are automatically adjusted when you enter the thickness of the material on DNC61 control. 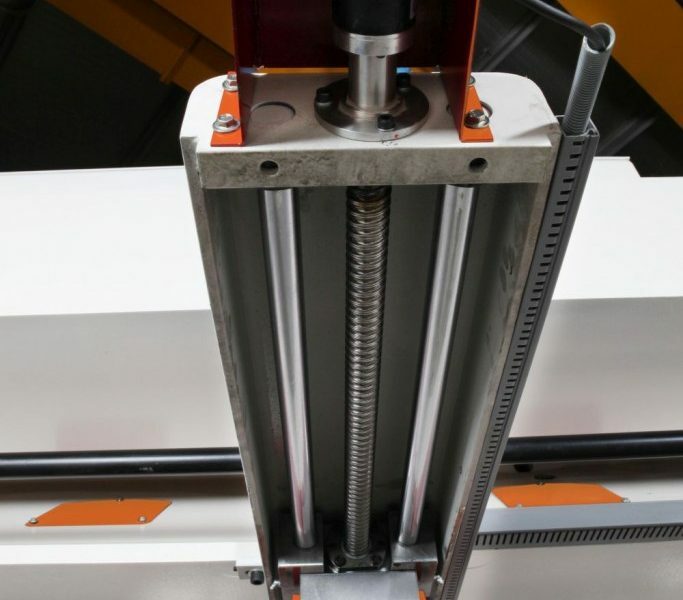 Cutting stroke is also automatically adjusted when you enter the length of the plate. 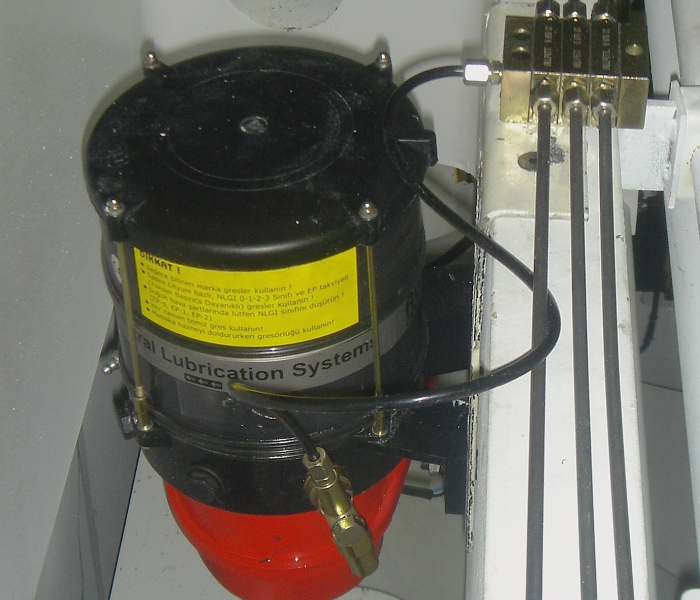 Automatic lubrication system lubricates moving parts at a specified number of strokes and prolongs the life time of critical components. 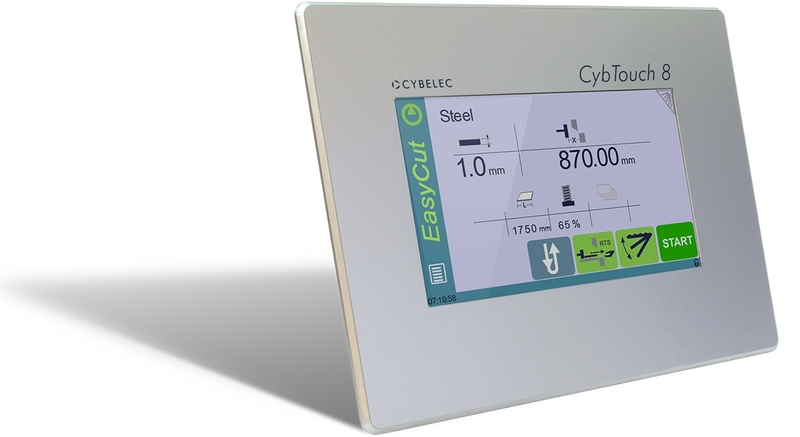 Cybelec Cybtouch 8 controller with EasyCut feature. 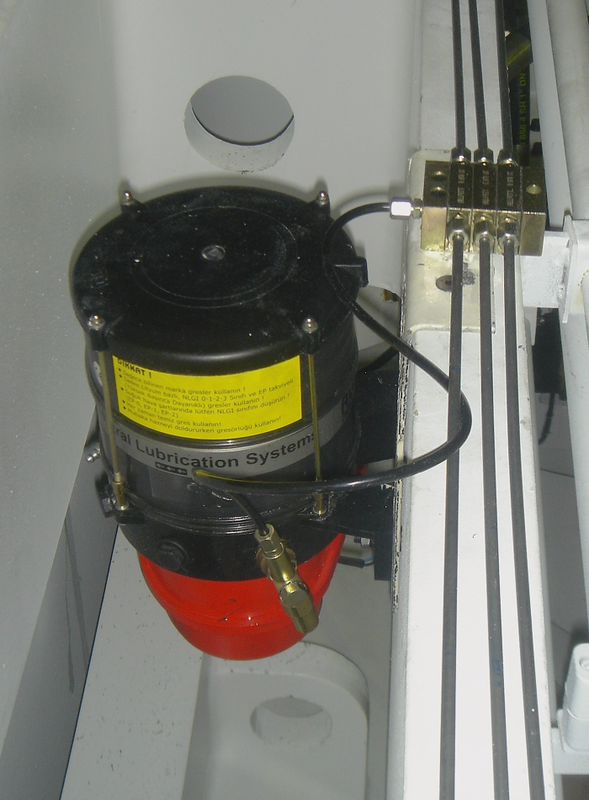 1000 mm backgauge running on ballscrews. 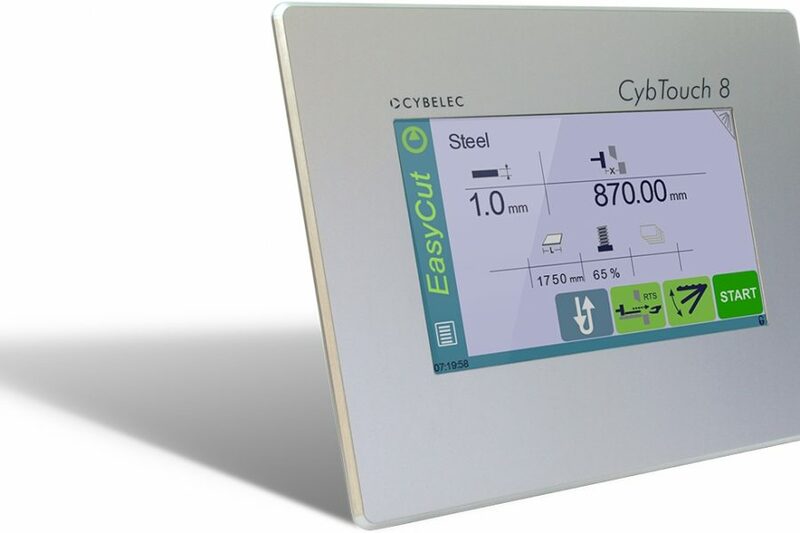 PrimaCut’s user friendly touchscreen control unit lets you program your backgauge and automatically adjust the blade gap and cutting angle in one simple-designed working page. 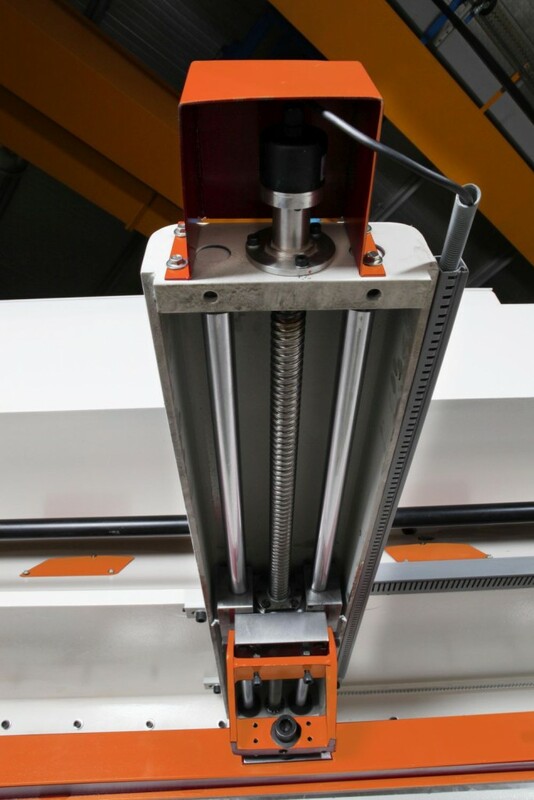 PrimaCut’s backgauge has 1000 mm stroke with swing away functionality and runs on ballscrews for maximum precision. 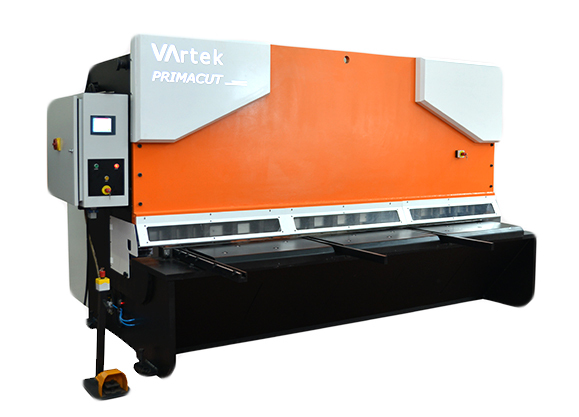 PrimaCut has automatic Angle Adjustment for better cutting quality.